To present your gourmet desserts and ice creams, the 13 oz / 37.5 cl Ypsilon Bormioli Rocco transparent glass ice cream cups are simply perfect. 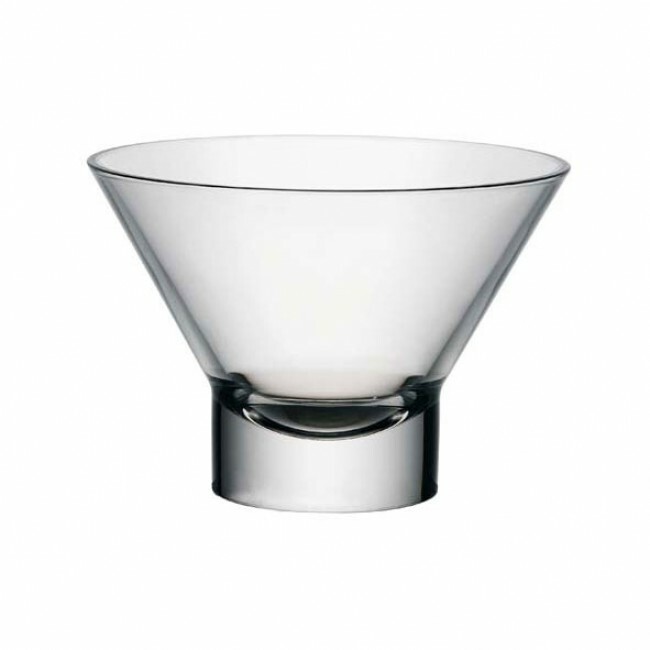 The simple and original shape of this set of 2 Ypsilon glass ice bowls will give you great ideas for presentations. As we all love frozen desserts, serve yourself and your guests in this elegant glass ice cream bowls from the Ypsilon Bormioli Rocco range.